Given Auburn’s commitment to sustainability as a core value and guiding principle for its operations, instruction, research, and outreach, it makes an excellent topic for Auburn faculty and staff to explore as a part of their professional development. 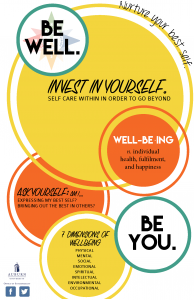 To get you started, we’ve assembled some resources you may find useful as you begin to consider sustainability as an ethic, concept, and practice. TED (Technology, Entertainment, & Design) hosts a wide-range of talks (all 18 minutes or less) on topical areas intimately related to sustainability. To get you started, we’ve curated a few of the bigger picture talks, but we encourage you to explore their entire catalog of offerings. 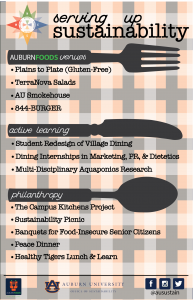 Through various units on campus, Auburn holds memberships in organizations focused on sustainability. 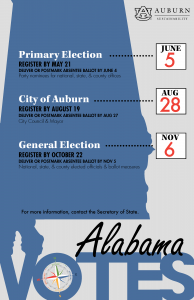 By using your Auburn credentials to set up your own individual account, you can tap into the wide-range of resources these organizations offer, including webinars, conferences, workshops, publications, newsletters, case studies, and more. AASHE is the leading association for the advancement of sustainability in higher education. They serve a full range of higher education faculty, administrators, staff, and students. They offer a weekly bulletin, workshops, webinars, and an annual conference. They also host the Campus Sustainability Hub, which is a one-stop shop to access toolkits and resource collections about all aspects of sustainability in higher education, from academics to operations to governance. The USGBC seeks to transform the way buildings and communities are designed, built, and operated, enabling an environmentally and socially responsible, healthy, and prosperous environment that improves the quality of life. USGBC oversees the LEED building certification and credentials program, provides educational offerings, publishes research on green buildings, & provides policy guidance. They also host the annual Greenbuild conference. GSA leverages sports to promote healthy, sustainable communities where we live & play. A network of 300+ sports teams & venues from 20 different leagues & 12 countries share best practices, resources, & develop solutions. Education opportunities include publications, webinars, & an annual conference. 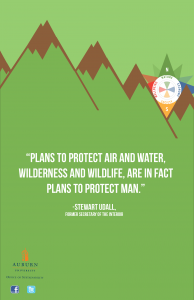 The SDSN mobilizes global scientific and technological expertise to promote practical solutions for sustainable development, including the implementation of the Sustainable Development Goals (SDGs) and the Paris Climate Agreement. It offers a venue for enhancing sustainable development through global discussion; problem solving; educational efforts; and applied research and communication. Member benefits provide opportunities for engagement at the institutional and personal levels. 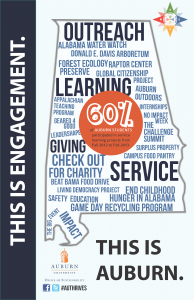 With over 10,000 people in Auburn University’s workforce, the choices we make when taken together have a considerable impact on the environment, finances, the community, and the personal wellbeing of ourselves and others. 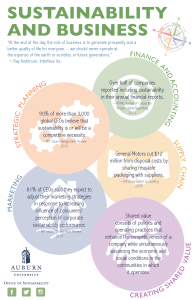 Imagine how many ways things could improve if we all practiced just a few of the many proven sustainability strategies. 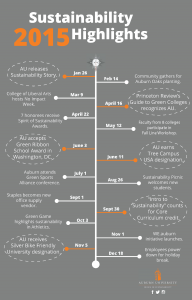 To get you started, we compiled a list of some basic sustainability actions for the workplace, and have also created an Auburn Employee Sustainability Connector guide. So, gather your colleagues and think about what you might do together to help jumpstart sustainability in your department. 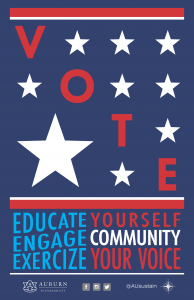 Each effort can help ensure that Auburn is doing its best to conserve resources and provide a healthy work environment for everyone. Skip using a screen saver. Set your computer(s) to automatically sleep after no more than 10 minutes of inactivity. In programs like Word and Excel, set your default margins to be 1 inch or less. Turn off monitors, printers, and other electronics at night, during weekends, and on vacations. Better still, you can unplug them to eliminate phantom power loads. If you have a desk lamp, use a compact florescent or LED bulb. Bring a sweater rather than using a space heater. If you have desk-side trash baskets, request a desk-side recycling bin from the Waste Reduction and Recycling Department. Set an alarm on your computer or phone for no more than 45 minutes as a reminder to get up and move around for a bit. If you can, look into getting a convertible sitting/standing desk. Work together to determine the need for electronics and appliances (e.g.– printers, microwaves, coffee makers) and consolidate where feasible. Establish a program to help ensure shared appliances get unplugged at night, on weekends, and during breaks, or use a programmable timer. Create a central area for shared office supplies. Use it to make available supplies you no longer use and get supplies before purchasing new. Try to utilize daylight only, when possible. If lights are needed, be sure they are turned off when leaving a room and at the end of the day. Be sure the thermostat is set to an appropriate temperature (68-71 degrees in winter; 75-78 degrees in summer). Close blinds in the evening to help maintain building temperature. Report all water leaks to Facilities Management by submitting a work order. Don’t leave the water running when not directly in use. Avoid using the toilet as a trashcan. Recycle electronics, batteries, and toner/ink cartridges. Contact Waste Reduction & Recycling for information on bin locations or how to get one for your building/office. Bring air-cleansing houseplants to work. Send unneeded office furniture and durable goods to Surplus Property for reuse by others. Set office-wide sustainability goals and post them in a prominent place as a reminder to coworkers and visitors. Incorporate recycling/waste reduction strategies into new employee orientation. Familiarize new employees with alternative transportation options for commuting and/or getting around campus. Display reminders for the last one out of a room to turn off the lights. Prior to university breaks, send an office-wide reminder for coworkers to shut down computers and unplug electronics/small appliances. Where legally possible, provide forms that can be completed and submitted electronically. Review, share, and edit documents electronically. Services like Google Docs, Dropbox, and Sharepoint make this easier than ever. Send and receive faxes electronically. Periodically remove your office from unwanted mailing lists with services through the Federal Trade Commission and TrustedID. Set printer(s) to print double-sided as the default. Refill ink/toner cartridges instead of purchasing new. Print in draft quality when possible. Provide a collection bin for paper that has only been used on one side. Then reuse the paper for things like note taking. Reuse old envelopes by covering old addresses with labels or reuse them for on-campus mail. Use the stairs instead of the elevator whenever possible. Utilize reusable dishware instead of disposables. Avoid purchasing bottled water. Offer tap water instead. Purchase Fair Trade coffees and teas. Purchase organic for common shared groceries (e.g. – milk, sugar, creamer, etc.). Use cloth dishtowels and napkins instead of paper. Purchase Green Seal or Design-for-the-Environment dish cleaning products. 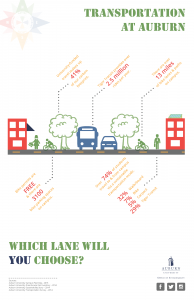 Encourage walking, biking, carpooling, and Tiger Transit for commuting to work. Remind coworkers of the Zimride Auburn site for connecting with others and tracking progress. 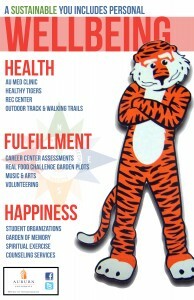 When meeting on campus, walk, bike, or use Tiger Transit instead of taking a car. When possible, hold e-meetings (teleconference/videoconference) instead of traveling for meetings. When traveling outside of Auburn, reduce single-occupant vehicles by carpooling or taking a shuttle. When at your new destination, look for mass transit or shuttle options instead of renting a vehicle. When you must rent vehicles for travel, choose fuel-efficient, hybrid, or electric vehicles. Purchase carbon offsets when renting vehicles or purchasing plane tickets. When booking lodging, look for hotels that have been certified for their environmentally-responsible practices through programs like Green Key, Green Globes, LEED, Green Seal, and Energy Star. Auburn University has guidelines and preferences for sustainable purchasing in the areas of computers, paper, and green cleaners. 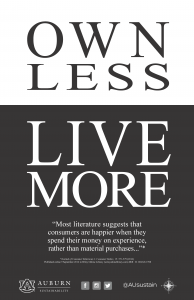 Recognize the most sustainable purchasing option is to avoid a purchase altogether. Work to reduce your overall purchasing budget for tangible goods by 5%. Consider the long-term value and cost of goods, including maintenance and disposal costs. Consider repairing or refurbishing durable goods before purchasing new ones. Use at least 30% post-consumer recycled content paper. For an even greater impact, consider 100% post-consumer recycled content. Avoid purchasing electric office equipment when manual options are feasible (e.g. – stapler, hole punch). Check with Surplus Property for options that meet your needs before buying new. Consider third-party certifications that may apply to the type of product you’re purchasing (e.g. – Green Seal, Energy Star, Design-for-the-Environment, Fair Trade, B-Corporation, FSC, SFI, EPEAT). When you must buy new furniture, look for low or no-VOC materials and/or natural/recycled materials. If possible, consolidate purchasing to minimize deliveries to campus. When ordering office supplies through Staples, simply check the ‘eco-conscious’ box near the top left of the page to see the wide range of sustainable options they offer in that category. Choose recycled content options for all purchases, when applicable. Consider purchasing in bulk for items that you consume in large quantities. A sustainable workplace requires an understanding of interconnections, and consideration of a variety of scales like personal, local, regional, and global. 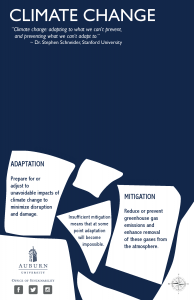 To help you identify the primary areas of impact for the listed strategies, we’ve included the following icons.